Popular historic sites such as Como Cathedral and Rocca Borromeo are in your itinerary. Get a sense of the local culture at Volandia Parco e Museo del Volo Malpensa and Civic Museum of the Risorgimento. You'll find plenty of places to visit near Lake Maggiore: Orta San Giulio (San Giulio Island & Lake Orta) and Spas & Wellness (in Monticello Brianza). 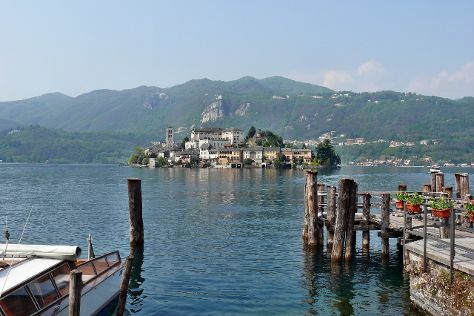 For maps, more things to do, reviews, and more tourist information, you can read our Lake Maggiore trip itinerary builder. The Route module shows you all the different ways you can get to Lake Maggiore. In November, daytime highs in Lake Maggiore are 13°C, while nighttime lows are 4°C. Finish your sightseeing early on the 2nd (Fri) so you can drive back home.